I know I’ve been there, trying to revive those vacay moments months after a memorable trip. Guilty as charged. My Instagram gallery is certainly replete with lost moments with the disclaimer of a #latergram but I just can’t help it. I love how photos can bring back instant emotions, feelings that can transport you back to that rushing sound of waves against sand or the aroma of stinky tofu from a bustling night market. For me, visual mementos captured with heart can conjure up those other sensory cues of taste, touch, smell and sound. 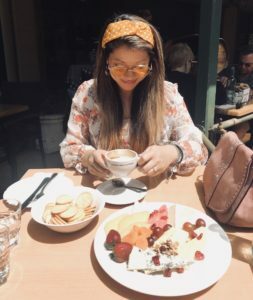 Back in 2015, I started blogging as Christina Cappuccino. You might ask me why the name Christina Cappuccino. For starters, I love coffee. 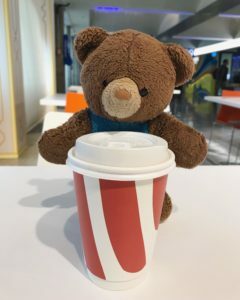 But it’s not only the coffee itself. I love the ability of intentionally sipping a cup of coffee slowly so that you can soak in the enjoyment and dive into a mini paradise. The escape. The indulgence. It’s that ability of coffee to transport someone to a state of happiness or nostalgia or to lift one’s spirits really appeals to me. 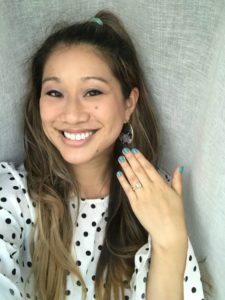 And I hope that in sharing my stories and journeys through life as a Taiwanese American who’s always dreaming and looking for inspiration, that you can also be transported. Let’s teleport together. I unfortunately lost my blog at the end of 2016 when I didn’t renew my domain and hosting site services! However, I’m happy that the Wayback Machine (archive.org) still carries snapshots of my posts under this same website url, so if you’re ever in the mood for some major latergram vibes, hop on over and check out vintage Christina Cappuccino. Hahaha, for those who know me well, you know that my fiancé is Australian, is in the field of accounting and his name is Alex. I don’t actually ever call him Alex the Aussie Accountant but I thought it had a nice ring to it. Anyway, this is just a quick shoutout to say that for Christmas last year, Alex got me this WordPress account to encourage me to start writing again. So sweet. Thank you, babe. Now onto the reason for this post. Photos. Australia photos. At the end of September into October, I made a trip to Australia to spend time with Alex and his family and also celebrate his sister Lara’s wedding! It was truly such a memorable time and I think the radiating sunshine left such a huge impression on my heart. There are so many things to say about the trip, from stories, to food moments, to bonding with Alex’s family and extended family and more. But, I’ll just share some photos (hehehe that I haven’t shared on facebook and Instagram!) and describe some of the experiences through these visual tidbits. Enjoy! Long distance relationship. Rockhampton, Queensland, Australia. New York, New York. Seriously, we are literally on opposite sides of the world. It’s super tough not being able to just hang out and our communication is one hour of FaceTime per day and texting whenever we each find time to update each other on the daily happenings of life. 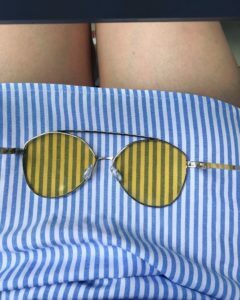 I miss those moments so much when we had a year together in Taiwan. I lived with my grandparents and Alex lived by himself then, but we were 20 minutes apart then via walking and subway versus 24+ hours of travel time now by car and plane! Ah, perspective. And a little bit of perspective from views is never a bad thing. 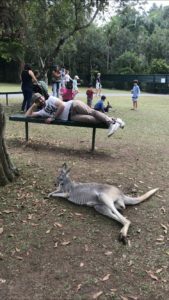 During the time in Australia, I was completely mesmerized at how beautiful the flora and fauna is, in its natural, pristine state. 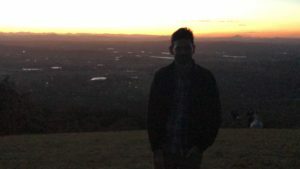 One of my favorite segments of the trip was when Alex and I drove up Tamborine Mountain into the Gold Coast Hinterland. We were away from crowds in a place where I tell everyone I saw the brightest and most beautiful clusters of stars in the night sky I had ever seen in my life. They felt close and they felt far at the same time. It almost didn’t make sense and it almost didn’t seem real, but it was. I actually tried to take pictures of the stars (haha) and of course it didn’t work, and Alex told me that some things are meant to be appreciated just by our eyes. We had two favorite viewpoints. One of them was along the road from our accommodation at Escarpment Retreat into the town. We actually drove by it the first time, just completely wowed by the gorgeous sunset hues and Alex did a U-turn (or as Alex would say…chucked a U-ie) to come back and park so we could take some photos and relish the open space. The other one was the lookout point on the property of the resort. 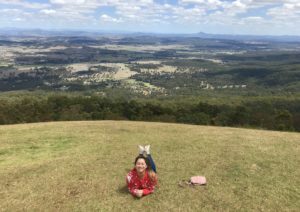 It was tucked away into the back with a small footpath where wild turkeys would roam about and when you got to the viewing point, it looked out onto hills and an expansive horizon. Standing there, you could hear the many calls of wild birds yakking away. It was truly breathtaking. 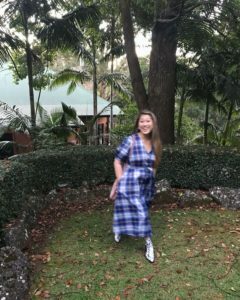 Equally stunning but in a different way was when we spent time in the Sunshine Coast where Alex’s sister Lara was married!! 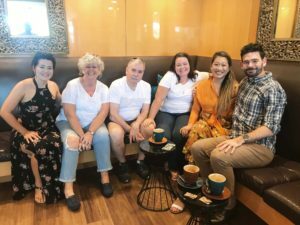 It was such a fun time to spend time together with Alex’s mum and dad, sisters Lara and Davina and also extended family, friends and more. 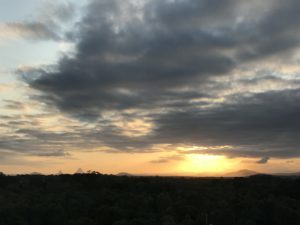 We stayed in the southern portion of the Sunshine Coast in Caloundra and from our accommodation could see the Glass House Mountains. It was so crazy to be able to see the silhouettes of the mountains in the skyline against the glow of the sun. To me, it almost felt like we were in this journey like The Land Before Time, because the mountains looked so far away yet still attainable, much like the journey Little Foot and friends took to reach the Great Valley. Yes, I just made a comparison to this favorite childhood movie of mine! 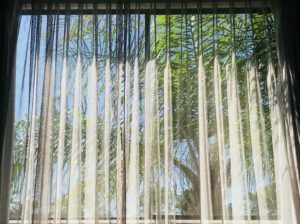 Perspectives can also come from what you see right outside the window or your everyday surroundings. I’m so accustomed to seeing New York City buildings and zero greenery (except for the trees and plants on top of buildings in their rooftop landscapes) from my apartment in Murray Hill so glancing out this window from our stay in the Gold Coast and seeing palm trees was oh-so welcome! Even the blue of the sky felt different from the current gray sky situation in New York! I felt so happy in all of the greenery. The third photo of this segment is from our stay in Tamborine where we stayed in a lodge-like spa resort. Stepping out of our villa, there was a mixture of palm trees with coniferous trees and it just gave the feeling where you could totally unplug. At one point, when we were lounging inside the lodge, Alex said to me, “Babe, do you hear that?” I replied, “Hear what?” And Alex smiled and retorted, “Exactly.” Silence. Absolute pure silence. Invigorating, rejuvenating silence. I think perspectives and what we are accustomed to also help us to appreciate what is different in other places when we travel. 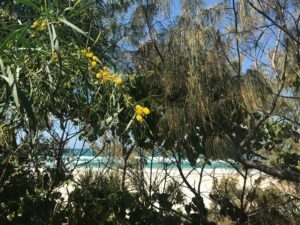 While in Australia, I completely fell in love with all of the flora and vegetation. I read somewhere that the flora is really special in Australia because of its isolation to the rest of the world. I couldn’t agree more. Floored by the Flora. Colorful personalities. That’s what I thought to myself as I gazed at all of the flowers and listened to the birds singing throughout many legs of our trip. 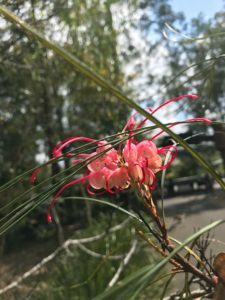 The bright inviting pink of the flower in the first picture was from our visit to the Australia Zoo where we hung out for part of a day. Alex was so excited to bring me to the zoo (Steve Irwin’s zoo!) and kept much of the trip a surprise until right before we would set out to go to the destination of the day. To the Zoo we went! The bunny bag made its appearance again as Alex had prepared bug spray, knowing that somehow all the bugs always bite me and they never get Alex! Oh the purple of jacarandas! And who doesn’t love an aerial shoe pic! Haha. I’m quite obsessed with aerial photos of both shoes and food, so hmmm, maybe a little foreshadowing to come? 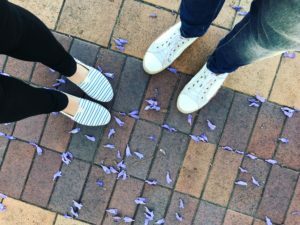 When I landed in Brisbane, we took a walk along the waterfront and in front of some residential apartments, there were a few beautiful jacaranda trees in full bloom. I was in Australia at the tail end of September going into the first week of October, but after coming back to the states I was reading more about these beautiful trees, and discovered that there’s a Jacaranda Festival at the end of October held in Grafton, about 190 miles south of Brisbane. I hope to one day be able to attend, as I’ve taken quite the liking to this shade of lavender this year, owning slippers, a cross-body bag and a wool coat all in this fabulous shade. I was super happy to walk amidst these darling petals and hahaha Alex posed with me for the aerial shoe pic. Fauna. 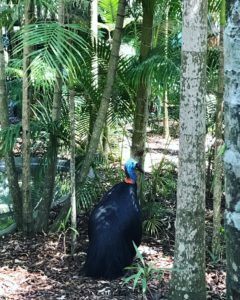 Just as the flora had colorful personalities, I have always found the fauna in Australia to have vibrant characteristics and garrulous personas! Something about how the animals (especially the birds!) interact and squabble is so funny but endearing to me. Alex always talks about how he loves to listen to the birds outside his window and I think he will really miss the chitter chatter when he moves to New York! Kookaburra sits in the old gum tree! Alex loves the Kookaburra. Whenever we see one, he always always points it out and says, “I just love that bird!” And I think it’s due to its jovial laughter that turns into a cackle. It’s so funny and if you’re curious, you can check out its call through this YouTube video. 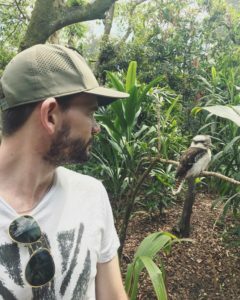 At the zoo, a Kookaburra was nearby so I was able to capture a picture of Alex just chilling out with his little buddy! Speaking of buddies, check out Alex lounging with his kangaroo pal! 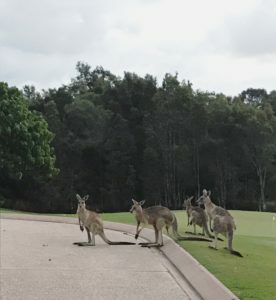 For me, it’s quite the novelty to see kangaroos in Australia but did you know that for most Australians it’s very common, and the kangaroo population exceeds the human population in Australia? We even saw kangaroos who became wedding crashers at Lara’s wedding! Hahaha! 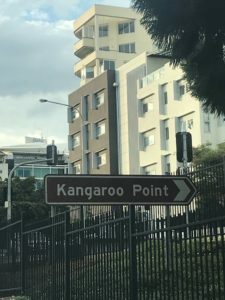 The next photo is a sign that says Kangaroo Point and it is from Brisbane. 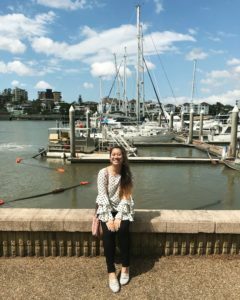 Alex and I stayed in an area called Kangaroo Point, near the Story Bridge. 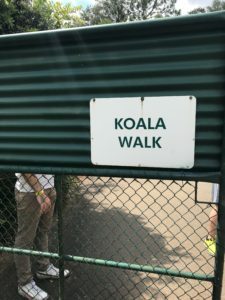 Signs provide direction and at the zoo we went to an area where there was a Koala Walk with many koalas just lounging around! 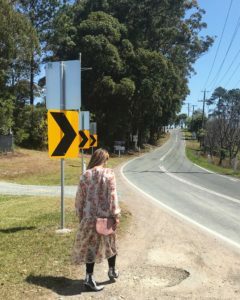 As we walked and strolled many different areas in Australia, I pondered over how we have so many journeys in our every day lives. Some journeys are fast and others are long, some are difficult and others are fun. Some journeys can be physical ones where we are getting from one place to another, such as taking a plane from home to a vacation spot. 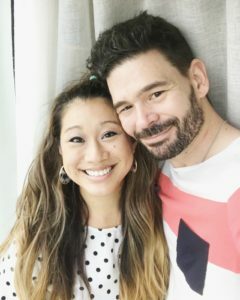 Others can be emotional ones where we learn something about ourselves along the way, such as turning 35 and wondering if we are still young and relevant. And still some journeys can be mental or spiritual, such as finding the energy after the death of a loved one and running four half marathons to combat the sadness and undergo grieving. You can probably tell that those examples are quite personal to me! And I can name a ton more journeys that have meant something meaningful along the way. It’s funny, sometimes if I’m so focused on getting through something quickly or getting over the hard times, I can forget to see in the moment that it’s just a portion of the entire path and that if something is really emotionally stressing that I can still look up and out and past the issue at hand and know that things will always keep moving and that the journey will continue. I’ll share a few quick journey segments from our time in Tamborine, next. Journeys, when covering ground, can manifest themselves by road, by car, by suitcase, by foot and many other mediums! 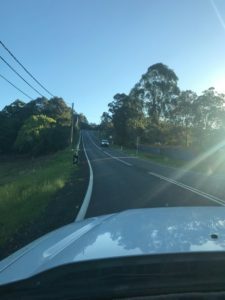 I took a few snapshots to remember the road ahead, or the road paused when Alex and I were in Tamborine. Alex drove his ute from Rockhampton to Brisbane to meet me when I flew from New York to Taipei to Brisbane! It’s so funny because when Alex first purchased his ute, I found the style of the car to resemble a slipper! Like…if there were a giant, he could take two utes and slip his feet right into the back windows like slippers! I always found them to be super funny looking, mainly because I have never liked pickup trucks, but after spending time in Australia, I can see how convenient they are! They are completely conducive to the beautiful sunny weather and you can just throw your gear into the back and have a ton of storage and also seat a lot of people while you’re at it! 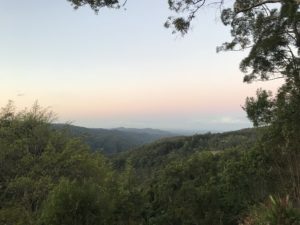 The ute was the perfect vehicle to drive up Tamborine Mountain and haul all of our stuff. 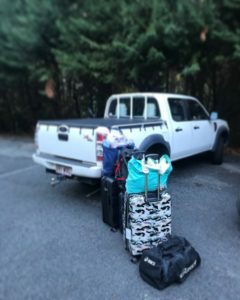 When we parked at the resort in Tamborine Mountain, we undid all of the tray cover loops and took out our suitcases and duffel bags, one by one! Get-in-my-Belly Worthy Spots. Presenting Trio #1: Alex + Food. 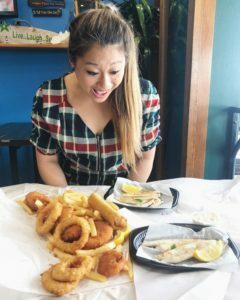 One of our favorite meals was getting Fish and Chips together, or Fush and Chups, as the Kiwis would say. We had Fish and Chips on a few occasions, and there’s something about that deep fried goodness of fresh fish that makes me so incredibly happy. In this first picture, Alex and I went back to Fish Mongers in Burleigh Heads. 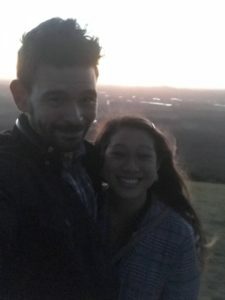 The last time we had been there was back in 2017 when I stayed in Australia with Alex’s family for three months. It was quite surreal going back to a place that was once completely new to me to going the second time and it feeling familiar, like it was a reunion with an old friend. 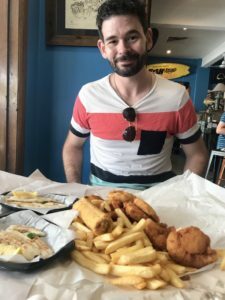 Alex did all the ordering and he wanted some variety and ordered some non-fried fish as well as a pineapple fritter and a chiko roll, which is like an Aussie version of a spring roll. 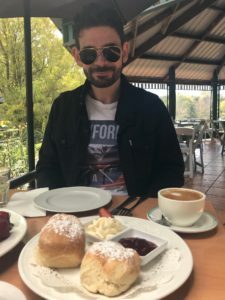 Alex was in his happy place in the second photo, when we decided to eat at Clancy’s Irish Pub & Restaurant in Tamborine. Alex is 25% Irish, so he wanted me to experience some of his favorite Irish fare. 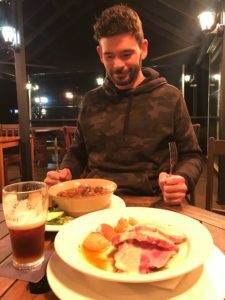 He was completely a kid and so ridiculously fulfilled from eating traditional Irish stew with lamb! It was pretty chilly outside that night, but the restaurant turned on the outside heating lamps and string lights and for a little while we were the only ones sitting out there, so it felt cozy and like our own space amidst the cold surroundings. Something about the chill in the air and eating the hearty food felt so comforting! It was also heartwarming seeing Alex in his camo hoodie from Taiwan completely happy that we had decided to go Irish for the night! Trio #2: Christina + Food. Here I am in the first picture of this series, at the restaurant near the Glow Worm Caves in the glowing sun enjoying the snacks that turned into a meal! We lingered here for a little bit and sipped our flat whites slowly before heading back to the Escarpment to finish packing up to make our drive to the Gold Coast! I couldn’t help but be mesmerized by Fish and Chips! But, the expression didn’t last long as soon I began to dig in! Lemon juice all over the fish and chips? Yes, please! 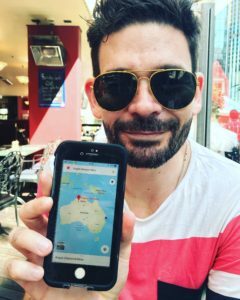 During our stay in the Gold Coast, Alex found this awesome restaurant one day while walking from our accommodations to find us some flat whites while I rested a bit. 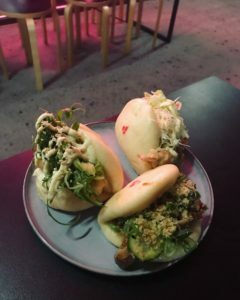 He happened upon this place called Lucky Bao and they weren’t actually open for coffee, but the server inside was so incredibly nice that he made flat whites for Alex anyway. They chatted for a little bit and he introduced Alex to the menu and Alex took away a menu to-go and said he would probably be back for dinner. 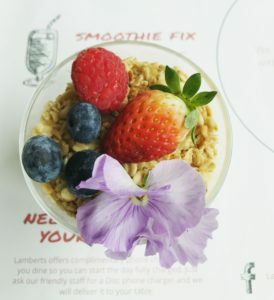 When Alex got back to the hotel, he told me the story of the nice guy who helped make flat whites even though he wasn’t open for coffee at the time and then he showed me the menu and said, “Babe, you’ll love this place. 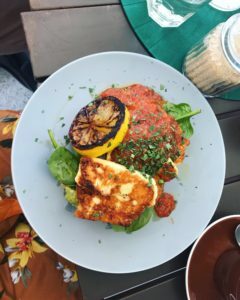 The food looks sooooo good.” I took a glance and we actually started circling food items on the menu we were interested in and started discussing what we wanted to eat! We were trying not to go overboard in number of options and also wanted to leave some room to stay open to how we were feeling when we actually went. But the pre-planning and fawning over the menu indicated just how excited we were to eat there! We decided to go to the restaurant for dinner and when we were there, the server said to Alex that he didn’t actually expect him to come back, because so many people just say they would come back but maybe actually wouldn’t! The dinner was so pleasant and so fun and I think it really had to do with the attitude and the enthusiasm of our incredible server. He was the nicest person and so upbeat and truly made our experience so enjoyable. I wish I knew his name so I could give him a shoutout, but Alex and I both liked him so much and the food so much that we told some friends about it and raved over it! 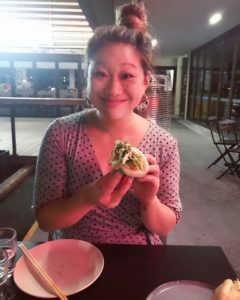 Speaking of raving over food, I just had to include some of my favorite meal experiences in the next six photos! Why Is Food So Damn Good? I’ve asked myself this question a lot in my life and I can never quite answer it comprehensively. I attempt to, and give reasons here and there, but maybe there isn’t an answer and that’s what makes it so exciting and so damn delicious! Let’s talk about these food dishes above! 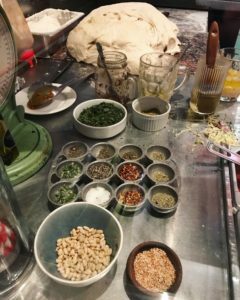 2-Pizza toppings and spices. You can’t go wrong, especially when you order it and eat it back in the lodge in Tamborine with a fire in the fireplace going! 3-I see you, baked beans! Alex loves loves loves baked beans as part of his brekkie! 4-Tteokbokki. 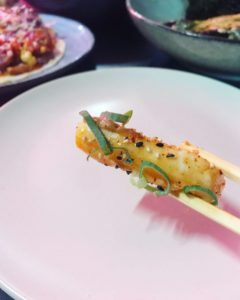 One can never go wrong with Korean rice cakes and these seasoned yummies were no exception! 5-I didn’t actually eat this yogurt and granola cup, but Alex did! I grabbed it because of the colors and that lavender shade that I love! 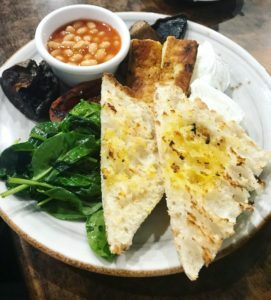 6-Who would’ve guessed that Halloumi would be so so so so good with a grilled lemon slice? Devoured. 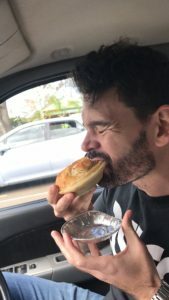 Thank you, Australia, for all of the yummies! For me, food can represent a certain place so distinctively. And as we get to Picture #40 out of the 50, I’ve decided for the next segment to be known as Australia Does It Best. Does What Best? For starters, who else has the best Vitamin B yeast extract with mashed up parts of veggies? 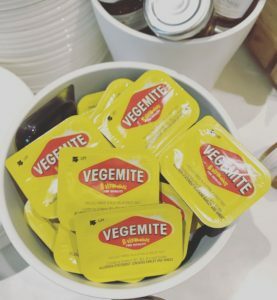 I happen to like Vegemite, and this time I had the nutritious spread with some butter and toast unlike the first time from a tube to my finger directly to my taste buds in Taiwan! 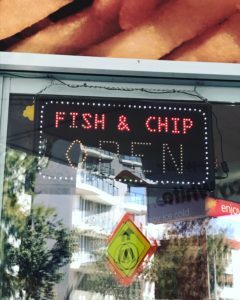 Fish and Chips was my absolute favorite meal + experience in Australia. 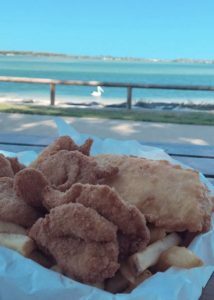 One of the best moments was getting fish and chips after going to the Australia Zoo and then eating it by the beach in Caloundra. Alex and I sat at Golden Beach and there was even a pelican floating in the waters in view from where we sat! It felt quite appropriate, because we had been driving along Pelican Waters Boulevard and its numerous roundabouts a ton during our few days in Caloundra. 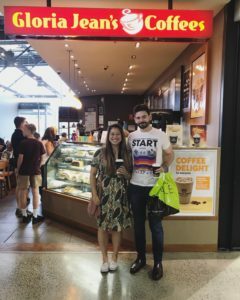 When Alex and I drove from Brisbane to Caloundra, we stopped to go shopping. Alex had mentioned to me while I was in the states getting ready and packing for the trip to not worry about packing too much because we could go shopping together! I still packed a lot but I was happy as a clam to do some shopping. For me, there’s a huge contrast of shopping from New York to Australia. 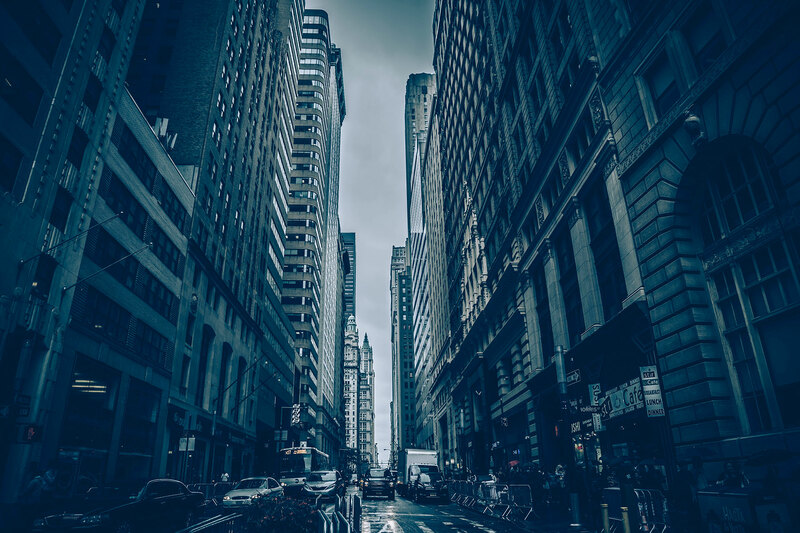 New York certainly has its variety and plethora of shopping venues and so much that satisfy a shopaholic and fashionista’s every whim, but Australia has a casual vibe with many more refreshes of what we would see as summer or vacation clothing. So, it was really fun to shop feminine tops and blouses, flowy looks with bell sleeves, fun colors and bright prints and more lightweight fabrics. Whenever Alex and I go shopping together, we always treat ourselves to a fun refreshment. In Taiwan, it was black sesame smoothies at 五分埔 (Wufenpu). The typical default is coffee, and in this case it was Gloria Jean’s. It was pretty funny as taking a picture in front of Gloria Jean’s was probably like seeing someone take a photo in front of Starbucks and the mall shopper I asked to help snap this shot smiled and laughed a little as I said, “I’m visiting and we haven’t seen each other since January!” Alex said I didn’t even have to explain because right when I started asking the shopper, she would hear my American accent and know. Hahaha. During part of our time in the Gold Coast, Alex and I were just about to take a walk at Burleigh Beach when we happened up the Burleigh Heads Bowls Club. We decided to take a pause and watch the players on the field. 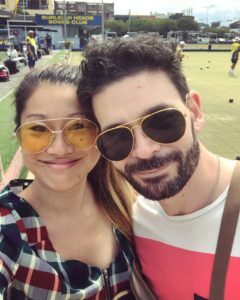 To me, watching lawn bowls was much like seeing a precision sport such as golf, where the game utilized certain techniques of aim and provided an atmosphere for camaraderie. It was fun to see all of the teams and individuals get along and the sport was so calming because everyone took turns, walked across the field and stayed encouraging and positive. It felt like the ideal sport to watch with a view through the trees of the beach. Favorite Moments. Le quotidien. The everyday. There is something about spending time with someone and being able to live through everyday existence that is so special. And for me it’s in those quirky or more understated moments where joy is found. By now, you know of the bunny bag! And another fun item in the bunny bag was this crossword puzzle book that Alex included. 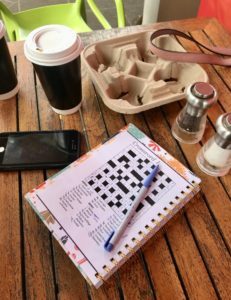 Throughout the trip, we had moments of getting coffee, or chilling or moments before sleeping where we would tackle a crossword together. It was so fun to try to solve the clues together and it really meant a lot to me that Alex included this book filled with amusement. 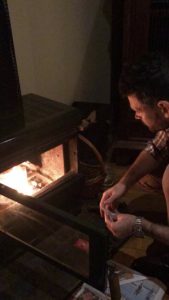 Another quiet and memorable moment was when Alex was starting up a fire for us in Tamborine. In our lodge, we had a fireplace with fire starters and wood. I watched as Alex was mesmerized by the fire and he had a knack for keeping the flame going by providing it with an adequate source of oxygen flow. The Love of Family. Speaking of love, the love of family is so important. It was so much fun to celebrate Lara’s wedding with Alex’s mum, dad and sister Davina. I always wish that we could all spend more time together, catching up and hanging out. I truly think that each one of you are so special and have such a tight knit family. Thank you for making me feel special and a part of your lives. Signing Off with Love. This trip to Australia meant to much to me that I couldn’t possibly describe fully. 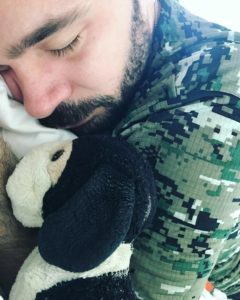 I wanted to share 50 pictures that had a lot of meaning to me or just showcased different snippets of the trip that I hadn’t had a chance to share yet. Some of the best moments were the simple moments where care, love, gratitude, adventure and the ordinary hum of life were experienced. 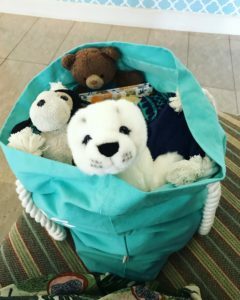 I was so sad to leave behind my bear (Alex) and my childhood stuffed dog Doodance, but this time I brought Alex’s childhood bear, Grundy, with me back to the states. He’s never been out of the country! So back to the states this time around but Australia, we will one day meet again! I am sure of it. Thank you to Australia and to all those I love in Australia for making this trip so memorable. MUAH!